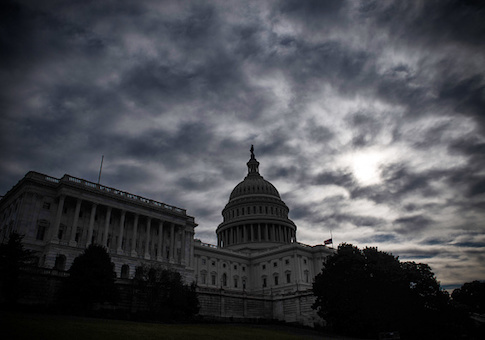 The federal government’s overall financial condition worsened by $4.5 trillion in 2018, according to an analysis from government financial watchdog Truth In Accounting (TIA). With assets of $3.84 trillion, the federal government’s unfunded liabilities and debt totals $108.94 trillion, leaving a debt burden of $105 trillion. "Our elected officials have made repeated financial decisions that have left the federal government with a debt burden of $105 trillion, including unfunded Social Security and Medicare promises," TIA states. "That equates to a $696,000 burden for every federal taxpayer." As a result, TIA gives the federal government an "F" grade for its financial outlook. In its new report, TIA clarifies that while the issue of a $779 billion national deficit is concerning, it doesn’t reflect the bigger picture. "The overall decline in Net Position presents a better picture of the government’s financial decline," the report states. "The federal government's financial position continued to deteriorate – and much faster than indicated by the government's own ‘bottom-line,’" TIA’s Director of Research, Bill Bergman, said. The report relies on data from the "Financial Report of the U.S. Government" for the fiscal year ending Sept. 30, 2018. The annual report came out more than a month later this year than it did last year due to the effect of the government shutdown on the financial reporting process. "Considering the shutdown furloughed ‘non-essential’ workers, the sad implication is that our federal government treats financial reporting as a non-essential responsibility," Bergman said. Last year, TIA’s "bottom line" measure of the government's unfunded debt rose more than $4 trillion, more than four times as fast as the reported budget deficit or net operating cost. The growth rate in interest expense accelerated, while the government's estimate of the "fiscal gap" – the amount of spending cuts and/or tax increases necessary to keep the debt/Gross Domestic Product ratio from rising in the future – doubled, TIA reports. "Perhaps the most alarming feature of the government's release of its annual financial report was the public reaction: deafening silence; zero coverage in the mainstream media," Bergman said. The fastest growing asset on the federal balance sheet is student loans, which now total $1.2 trillion and account for one-third of reported assets. A recent report by OpenTheBooks.com found that the U.S. Department of Education (DOE) overpaid $11 billion in Pell grants and student loans over the past two fiscal years alone. The 50 lowest performing junior and community colleges in the nation received $923.5 million in DOE student loans and grants, the report found. Of them, the 10 that received the most federal funding had a 12 percent graduation rate, on average. Although the Treasury Department does not include unfunded Social Security and Medicare promises on the federal balance sheet, these liabilities are included in TIA’s analysis. The federal government’s assets stand at $3.84 trillion, TIA notes. Income is derived from corporate taxes (6 percent), excise, estate, gift taxes and other revenue (11.5 percent), and individual income tax and withholding taxes (82.5 percent). But its unfunded liabilities and debt total $108.94 trillion. The federal government owes $34.80 trillion in Social Security promises, $48.79 in Medicare benefits, $7.89 trillion in military and civilian retirement benefits, $15.81 trillion in publicly held debt, and $1.56 trillion in other liabilities, in all totaling $108.94 trillion. Interest on public debt alone accounts for $357.30 billion. The majority of federal money was spent through the U.S. Department of Health and Human Services, which administers Medicare and Medicaid, accounting for 25 percent of the federal budget. The next highest expenditures were allocated to the U.S. Department of Defense and Social Security, each accounting for 23 percent of the budget.